Ranjish.com has lots of Urdu Muzaffar Warsi Poetry. Feel free to add your own Muzaffar Warsi Shayari here. Muzaffar Warsi Shayari was a prominent Urdu Poet and a scholar of Pakistan. He was thought to have worked as writer for five decades. Muzaffar Warsi wrote a huge collection of Naats, but also wrote many Ghazals and Nazams. His autobiography “Gaye dinon ka suraagh” was a huge hit. At Ranjish.com , you can get most of Muzaffar Warsi Poetry to read and enjoy. 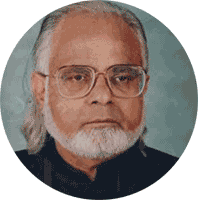 We update our poetry database on daily basis so keep coming back for more Muzaffar Warsi.